Even fallen trees can be beautiful in Autumn. This tree had fallen across the trail side of the Denison Farm Trail in Mystic, CT. 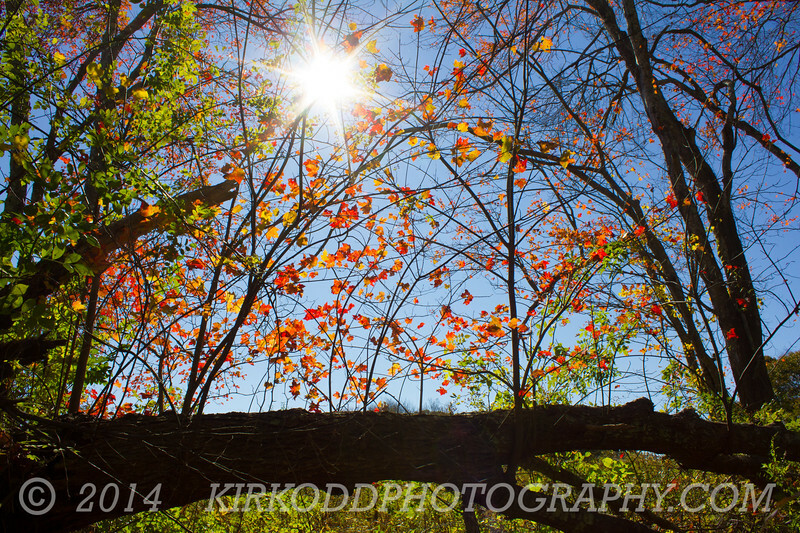 The sun shining through the red leaves caught my eye as I crossed a wooden boardwalk.